Below is a selection of the gardens I've created with my clients. They range from large informal family spaces to smaller city courtyards but they've all been designed to ensure that they relate to the architecture of the house, the landscape beyond the boundaries and to inspire the people they have been created for. Having recently moved from Surrey to Monmouthshire you'll notice that the majority of my projects are in London and the South East. My move to South Wales has been amazing in so many ways and if I need a lift or creative burst, the view from our garden never fails to inspire me. 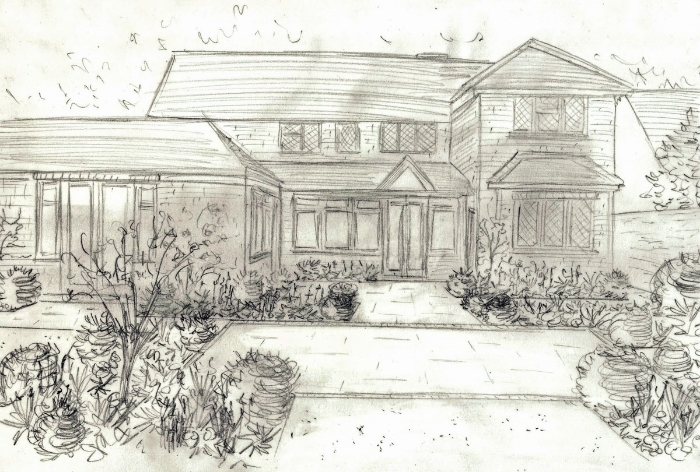 My design style has certainly evolved since we have been here and I particularly love creating generous and free-flowing gardens that are very much in touch with the surrounding landscape. 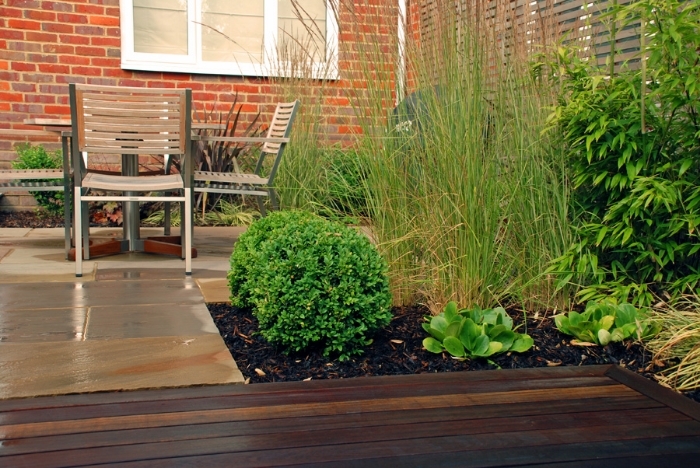 This large informal garden was designed to bring more light into the garden. My clients wanted to open up the space so that they could get a better sense of the countryside beyond the end boundary. A long sweeping lawn gives plenty of space for the children to play alongside some more sophisticated adult space for relaxation and entertaining closer to the house. Spring bulbs give way to tall perennial planting giving colour and texture throughout the summer. The box balls, grasses and perennial seed heads give structure during winter. 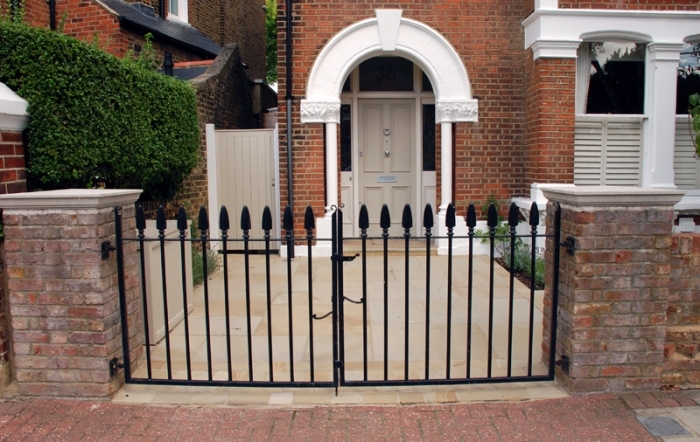 This new terrace for a London town house in Wandsworth was created following a house renovation project. 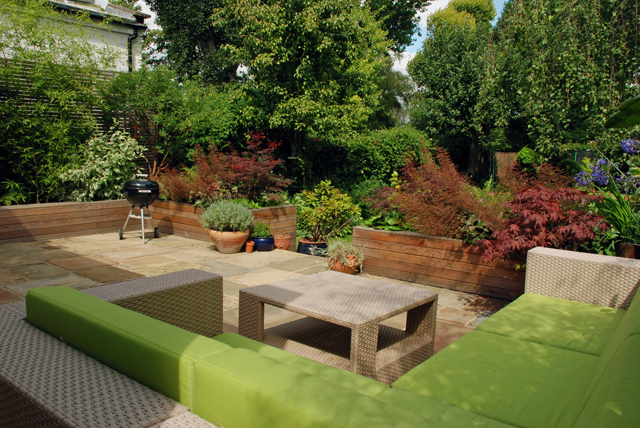 The design had to create a new space for relaxation which connected the new kitchen extension to the rest of the garden. Inspired by woodland walks, Victoria and Andrew wanted the planting to remind them of the landscapes that they love so we chose ferns and plants with rich foliage. The star of the show is the Acer Griseum (Paperbark Maple) with its gorgeous copper-coloured bark that lights up when it catches the sun. 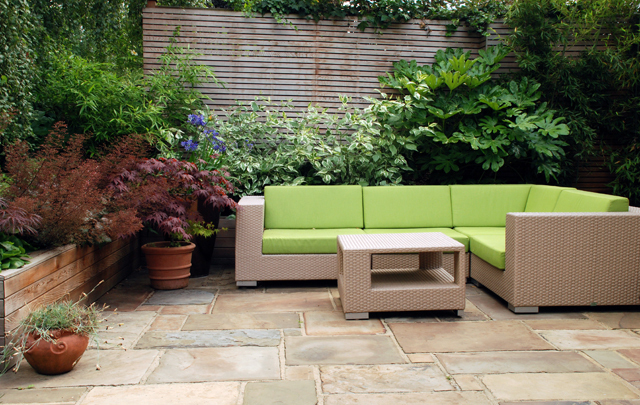 A small courtyard garden, designed for a professional couple who worked long hours but wanted a clean and contemporary garden space where they could relax in the evenings and weekends. 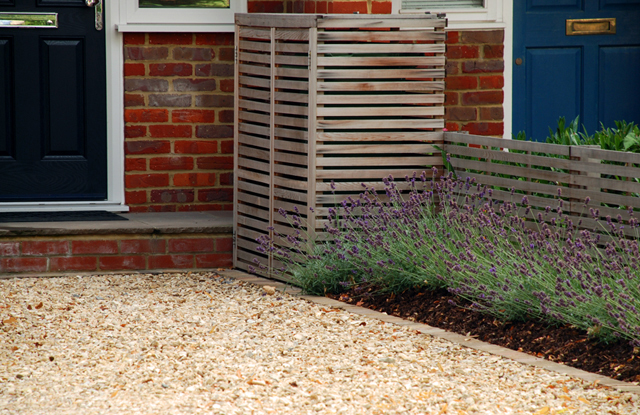 Clean crisp lines and simple planting give this garden an air of sophistication which looks pretty much the same all year round, even in winter when the trees lose their leaves. 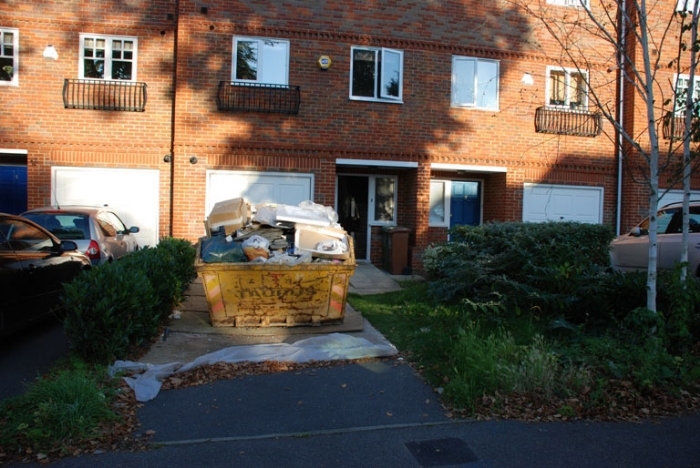 At the front the design is simple and elegant with storage for the bins and space to park two cars. 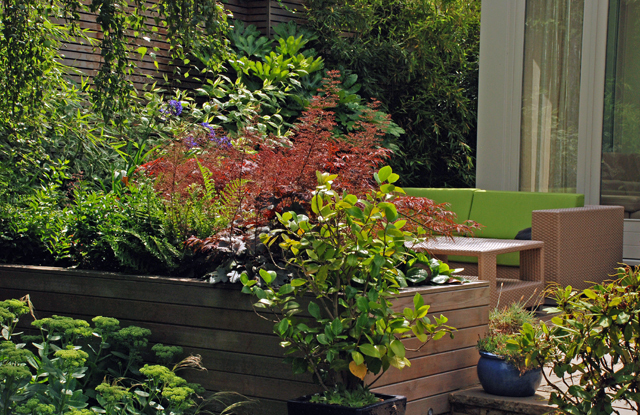 Maintenance is low without the need for constant maintenance, A couple of sessions in the garden a year is all that's required to keep this garden looking amazing. 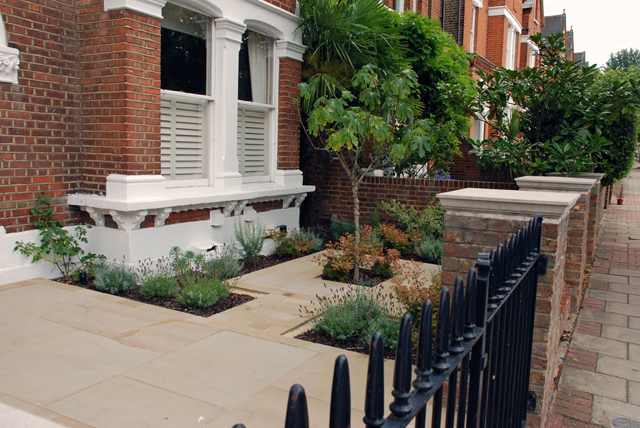 Following a house building project, this front garden in Wandsworth needed to be elevated to reflect the gorgeous architecture of the house. 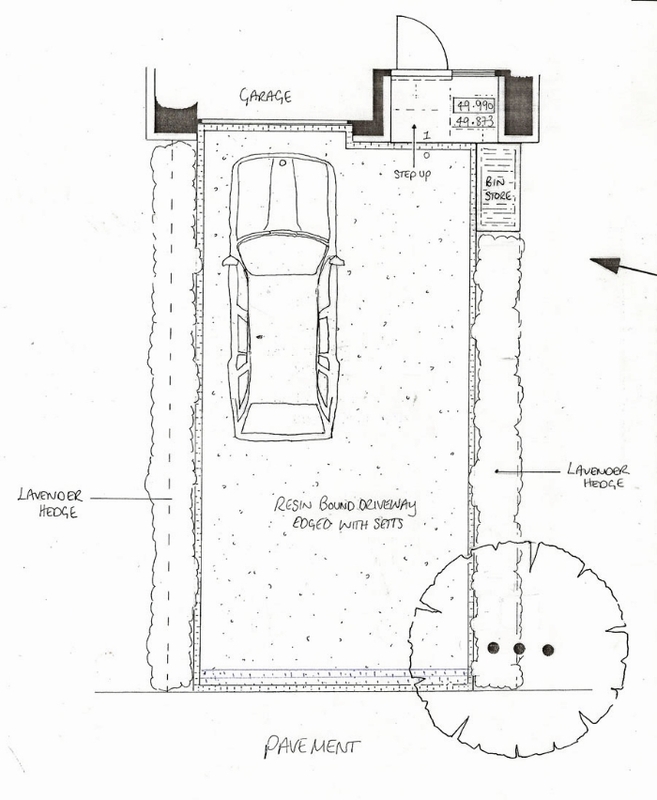 A small driveway provides parking for one car occasionally and the planted area outside the windows makes the front of the house more inviting. Sawn York stone gives a more contemporary feel to the space without taking away from the age of the property and a small bin storage unit hides away the rubbish until collection day. 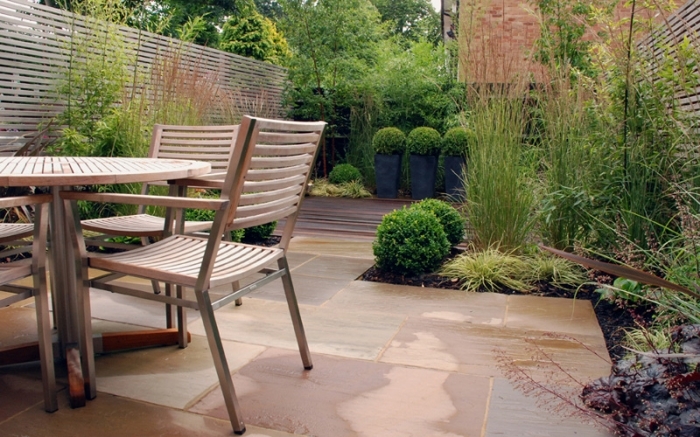 This small London town house garden was in need of love following a house renovation project. 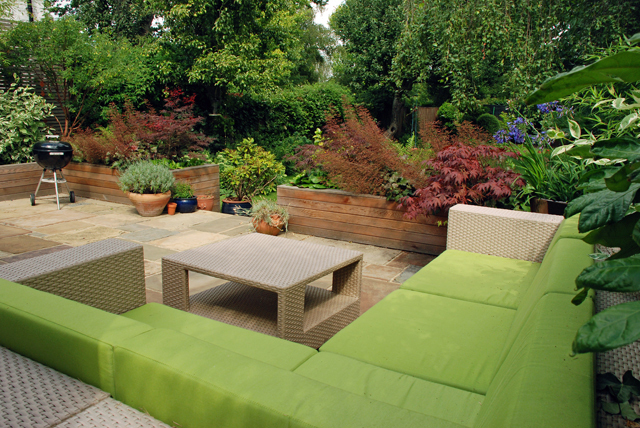 Having grown up children, my clients Alison & Marco wanted a stylish adult garden which would allow them to entertain friends and family. With the large expanse of glass leading out from the kitchen it was especially important to create a garden that fels like an extension of their home, somewhere that looks great all year round and that draws them outside to enjoy it in the summer. This garden needs a bit of time to fill out, having just been freshly planting in these pictures taken in the autumn, but I hope you can see that it will be a fabulous place to sit when the plants come to life in the summer. 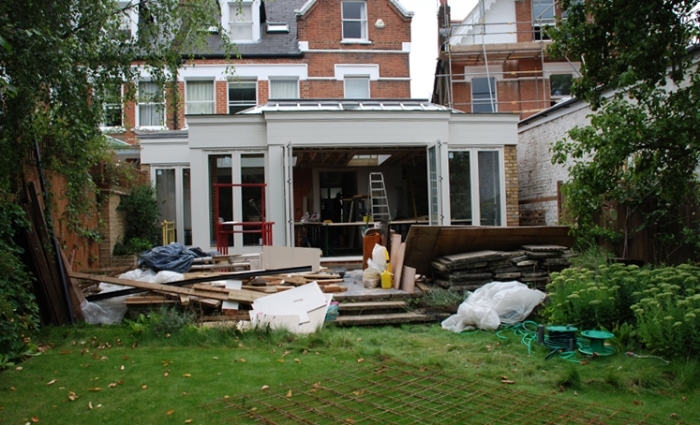 Peter and Amy contacted me after they'd finished the renovation of a large Victorian house. 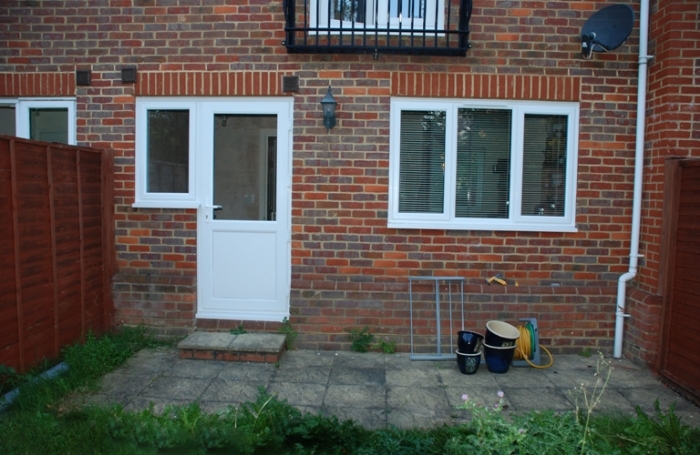 Having previously been a bed and breakfast, it's now been restored into a beautiful family home. 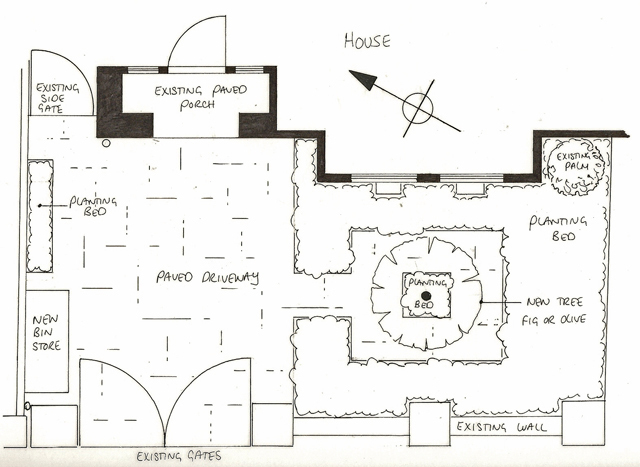 One of the main challenges of the garden was that the house sat in the middle of what, for the size of house, isn't a very big plot. 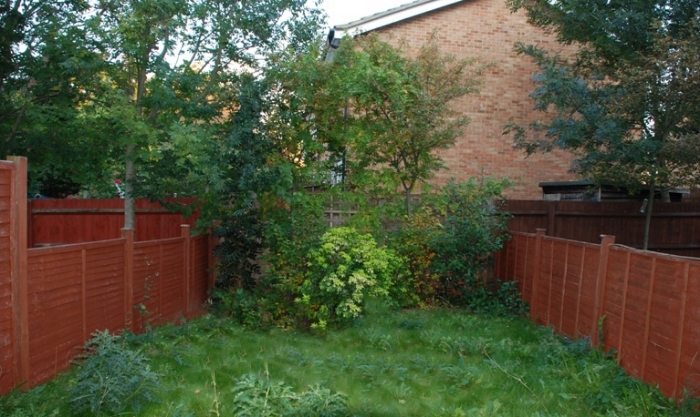 This made the garden look and feel tiny when viewed from inside the house, although there was actually a lot of space. I love this garden and the way we've made it feel part of the new house. The planting is still quite new, but it will soon fill out and feel as though it's always been there. Painting the fences black always works a treat, making them almost disappear and it also gives the garden more depth. I always think the plants somehow come to life too. 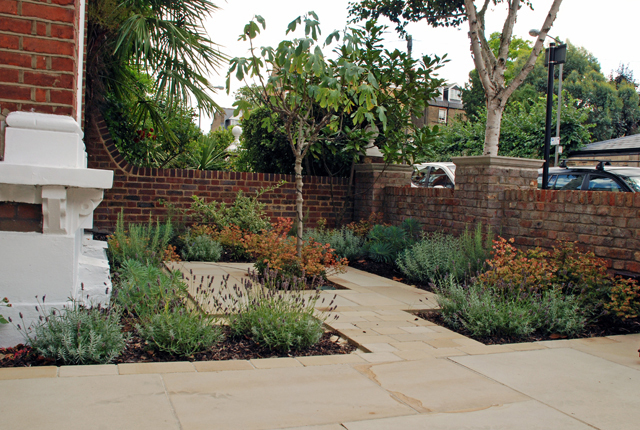 A new garden for a family who, following a house renovation project, wanted to bring their garden back to life. The steep levels made it difficult to use and they wanted to open up the space to allow more light in. Terracing the garden has made it much more usable and the decked terrace at the top of the garden not only provides a great place to sit, it also enhances the view from the house. The amazing willow tree now takes centre stage with its weeping branches casting dappled shade on hot summer days. 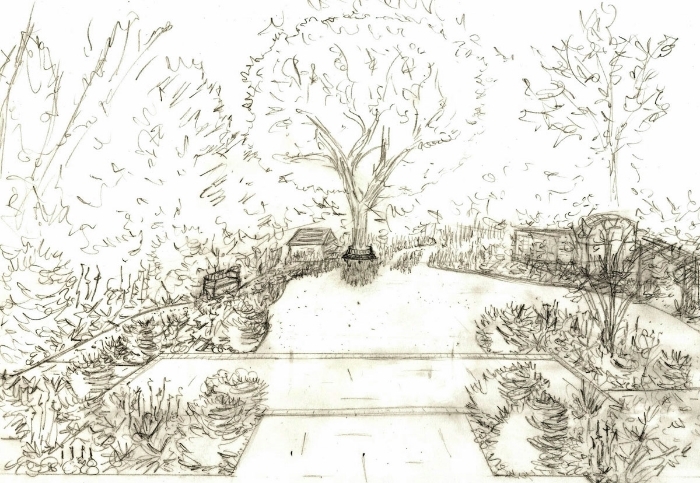 In 2015 I designed a show garden at RHS Flower Show Cardiff, sponsored by Victoria Park Mazda. 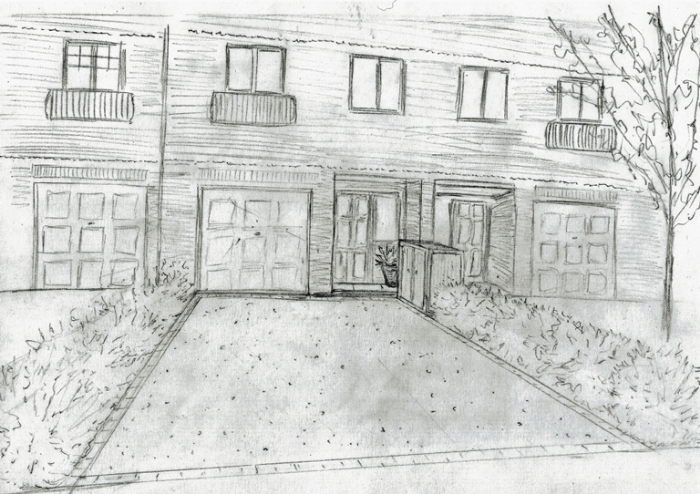 I'm really passionate about front gardens as I think they're often overlooked. The design was inspired by the launch of the new Mazda 2 which is celebrated for its eco-credentials. 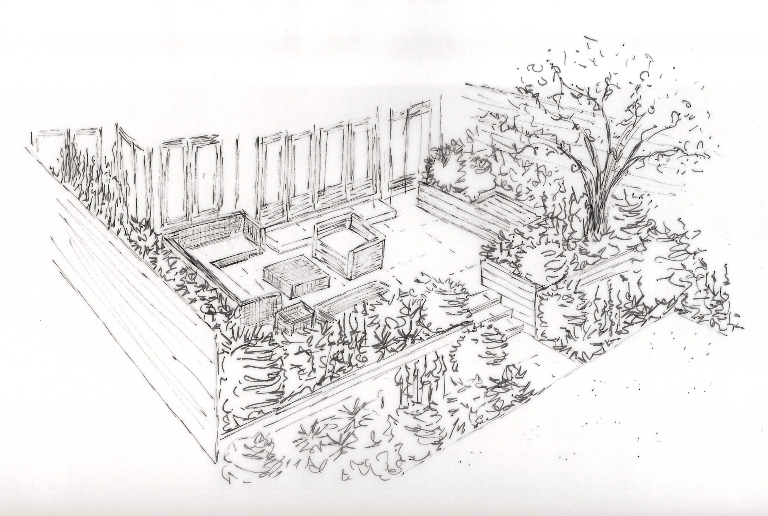 The design sought to demonstrate that it's possible to create both a functional and practical space without losing the sense of a garden. 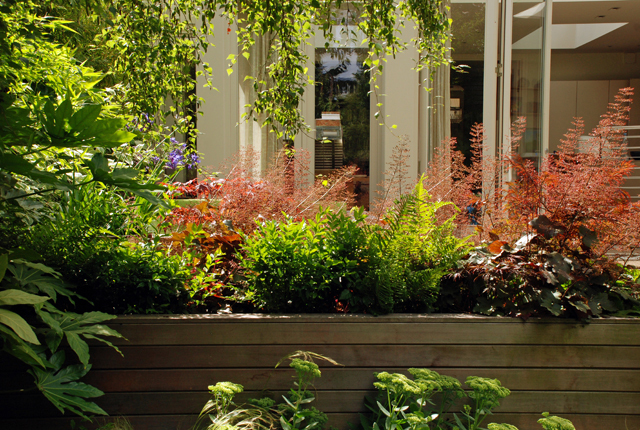 Front gardens should be inspiring and uplifting, they should make you smile when you come home!